In order to be more environmentally sustainable, the mining and mineral processing industry is focusing more on ways to minimize impact on the surrounding environment. 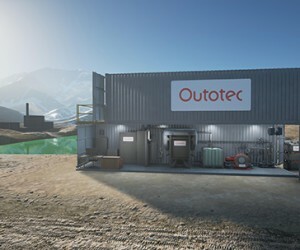 Outotec has combined its unique understanding of water treatment, process design, electrolysis and hydrometallurgy into a cost-effective modular product - Outotec® EWT-40. The Electrochemical Water Treatment process solution is a highly automated process, which minimizes the need for personnel while ensuring high quality water treatment performance. Our EWT solutions can be purchased as a process solution island with full maintenance, spare parts and operational support services. Outotec can also offer a complete water treatment solution from test work including: laboratory scale test work to on-site piloting, conceptual and feasibility studies, basic and detailed engineering, as well as developing a solution for the entire process. Potential sources of water contamination from the mining industry include drainage from surface and underground mines, wastewaters from beneficiation, surface run-off and acid mine drainage (AMD). 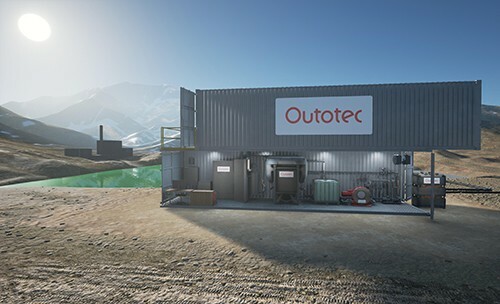 Outotec Electrochemical Water Treatment solutions can handle everything from the removal of arsenic, selenium and antimony, to trace metals and organic removal. Customer specific wastewater can also be tested in Outotec's lab in Pori, Finland, where we can help our customers find the optimal solution. One Outotec EWT-40 module can treat approximately 5-40 m3/h of waste water depending on the application. The operation can easily be scaled up as needed simply by adding more modules. Another benefit of its modular design is the added value it brings to our customers - the modules can be easily relocated or resold, protecting the investment beyond plant lifetime. It is also ideal for remote locations with minimum transport and storage needs. For more information email us or meet us at Northern Industry (stand 512) in Oulu, Finland, on May 25-26 and at IFAT (stand 416/hall B3) in Munich, Germany, on May 30 -June 3.